Albany Unified School District’s youngest learners thrive in a culturally responsive, play-based learning model. 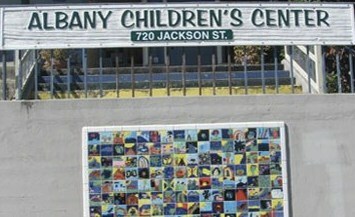 Albany Children’s Center is comprised of three different programs: preschool, transitional kindergarten and before and after care school-age programs. Although each of these programs are different, there are some commonalities that thread through all of them. All of the children participate in developmentally appropriate lessons and activities that celebrate diversity and affirm unity. We engage children in enriching learning experiences in multicultural settings. All children are taught by highly qualified teachers and para-educators. We provide low student-to-teacher ratios, hot meals, large play yards, appropriate curriculum, hands-on activities, and a diverse student and staff population.